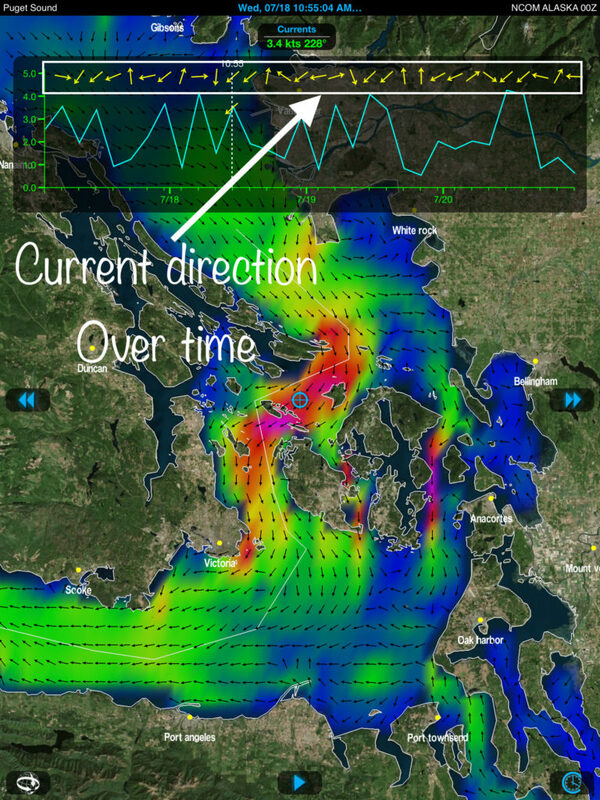 Wind changes direction over time, so do currents and waves. 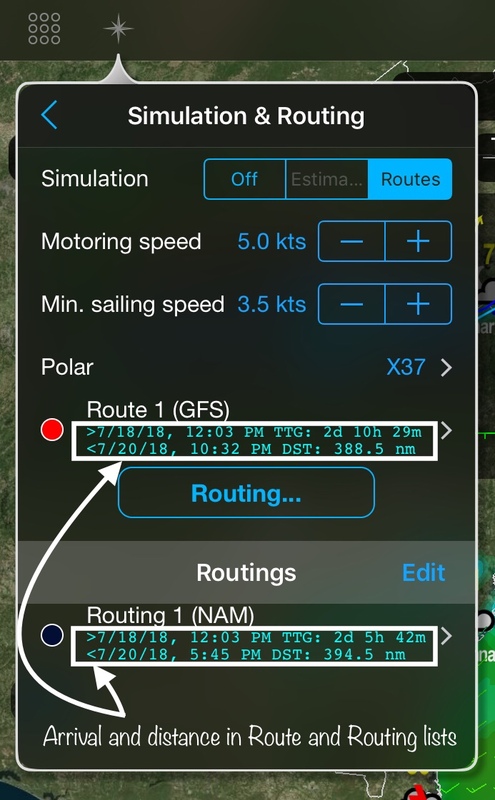 Being able to figure out instantly when they occur for all three model types provides an edge and helps navigation planning. 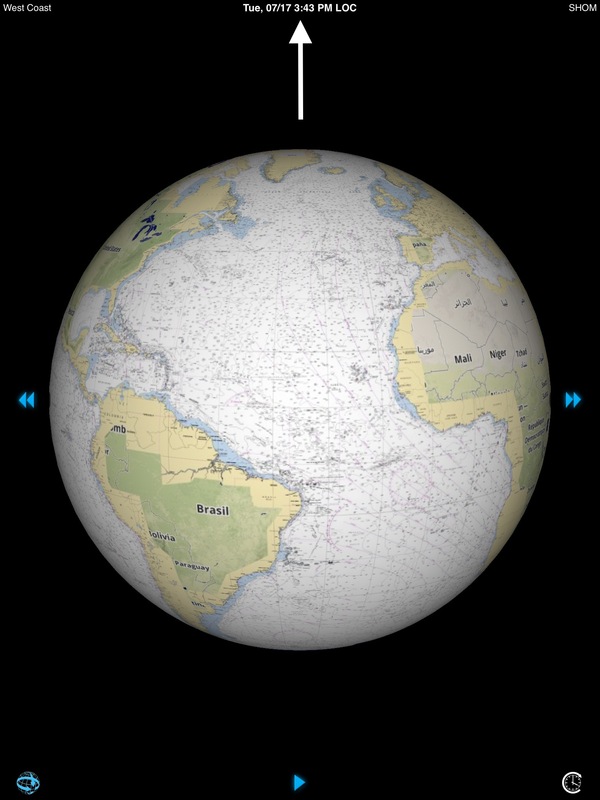 You can now visualize current direction evolution on a defined target in addition to its speed. 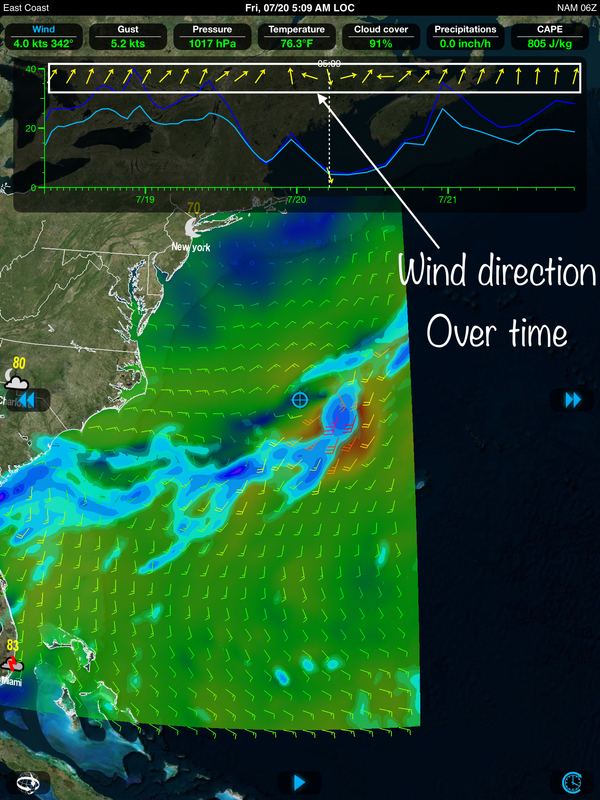 Just like current and wave models, the wind models now have direction on target over time displayed in the meteogram. 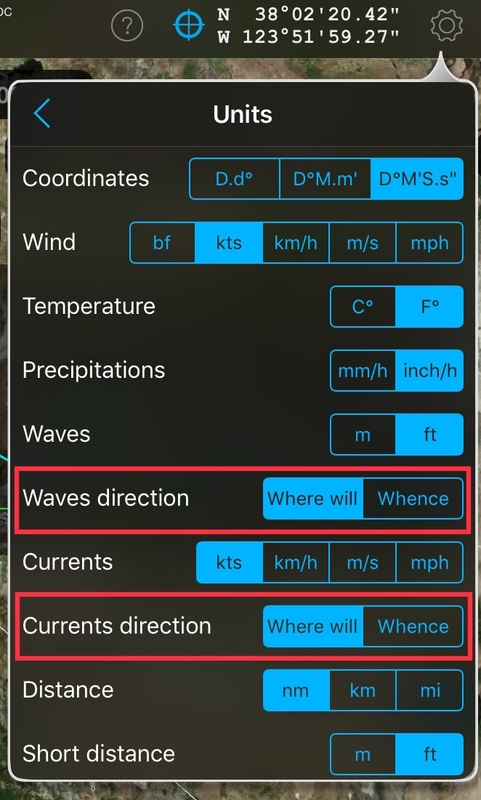 In Global Settings in the upper right corner, Tap on “Unit” to set whether you want the angle based on where the waves or the current come from (Whence) or the direction they’re heading to (Where will). 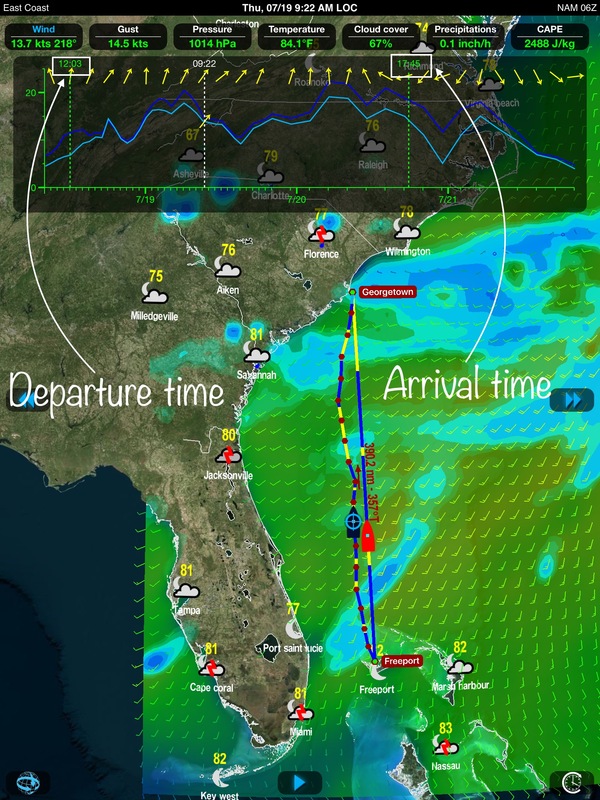 This functionality is part of the Weather4D Lite (models only), Weather4D Routing, Weather4D Routing & Navigation. These applications are available on the App Store to purchase or as a free update if already purchased. 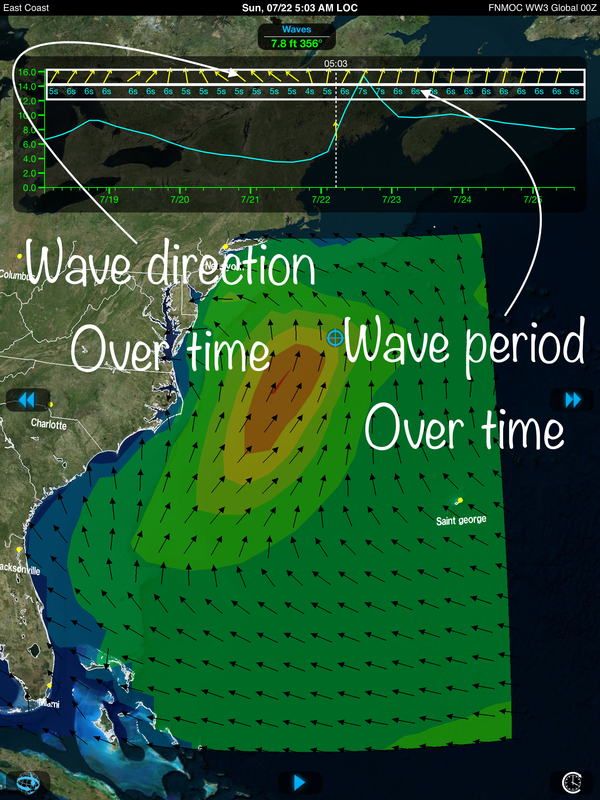 Feel free to check out the comparison table for more information about their respective features.